I've lived the Modern Coastal Lifestyle my whole life. From the Atlantic shores of Myrtle Beach to the white sands of Pensacola. The Modern Coastal Life is sophisticated, charming, clean and vibrant. In this lifestyle the details matter. The craft matters. The people matter. My hope is that I can share this lifestyle with each of you through our projects. I am a Registered Architect, Interior Designer and Residential Contractor. I work on all our projects from the first sketch to the last nail. This is my craft, the Modern Coastal Lifestyle. If you are ready to live the Modern Coastal Lifestyle I would love to show you how. Contact me below to start the journey. Established in 1996, Pete J. Vallas, A.I.A., Architect is a full service residential architectural firm with a reputation for listening to clients and providing attentive personal service. Our firm has built an extensive portfolio of 'from the ground up' custom residences, major additions and alterations, not-so-major small remodeling projects, historic adaptive reuses, specialty retails shops and houses of worship. Regardless of style, our work relies heavily on the incorporation of visual axes that organize the plan and lead the eye from room to room and from indoors to outdoors. Rhythm and repetition, balance and proportion, harmony and mathematics; the sophisticated manipulation of these components results in work that appears effortless. We have countless repeat clients who appreciate that our work is as fresh and timeless a decade later as the day it was completed. For some families we are on second and third homes, as well as working for second generations. We are also proud of our reputation for sticking to clients' budgets and schedules. As stewards of their construction dollars, we know from experience how and where to spend it wisely and make it go the distance. Working out of a studio above a repurposed single car garage behind his residence in Mobile's midtown, Pete J. Vallas is passionate about his work and interested in hearing about your next architectural project. WATERSHED provides a full range of architectural design and sustainability consulting services. Our designs draw inspiration from the porches, barns, and factories built across the south before the invention of air conditioning, and from the innovations of nature itself. We believe green buildings need roots, and challenge ourselves to create architecture that interacts with natural systems in a way that is both beautiful and functional. When architecture engages the movement of the sun across the sky or the flow of water across a site, it offers an experience that changes throughout the day and throughout the seasons. When we design spaces that blur the boundary between indoors and out. a smaller building can live larger through the visual and functional expansion of the living space into the landscape. Sometimes, it’s not about the architecture at all, but about the building getting out of the way so you can enjoy a beautiful view. We look for opportunities to demonstrate affordable, sustainable design. A palette of simple clean geometries and local materials that gain character with age allows us to create visual richness yet minimize cost. We combine passive solar principles and a knowledge of historical forms to create buildings that shade themselves in the summer and capture heat and light from the sun when needed. It is a timeless approach to energy efficiency that conserves both resources and our client’s budgets. Quality, experience, and reputation are everything at Walcott Adams Verneuille Architects. 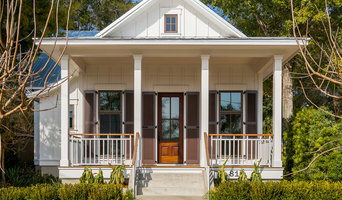 For over 30 years we’ve been designing a wide variety of building types for friends and neighbors in charming Fairhope, AL and across the gulf coast region. WAV’s value lies in a unique combination of empathy and talent. This means we’ll address your concerns immediately; reduce hassles through excellent communication; and always come prepared. It also means we respond to what you find beautiful, and deliver architecture in service to that goal. Coastal Classics works with home renovations and additions that create a low country relaxing feel and practical use for your family. VIEW OUR WEBSITE TO READ MORE ABOUT HOW THE PLANNING PROCESS WORKS. At Coastal Classics, we strive to give your family a clean, traditional, practical home with a vacation feel. Functional space is a priority, along with a low country architectural detail inside and out. 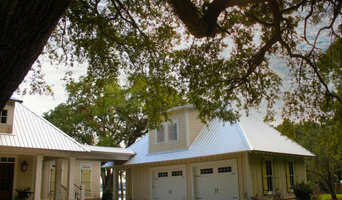 Featuring the Cottage, French Country & Craftsman details that are a traditional part of our coastal region. Our designs meet the unique requirements of our clients with inviting front porches, open living areas, and gourmet kitchens to the latest energy saving features. 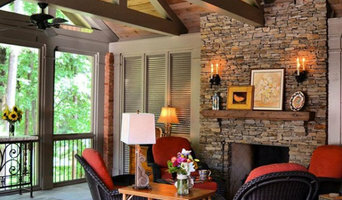 From moderately priced cottages to large luxury homes, we also have extensive experience in remodeling, additions, and renovations. Regardless of the scope of your next project consider Marcus Bell Design for professional services which are creative, accurate, and timely. 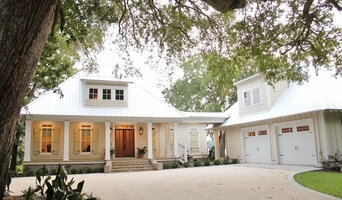 Coast Architects, Inc.is a full service Architectural design firm located in Baldwin County, Alabama. We provide comprehensive architectural, program/construction management, environmental, interior design, planning, and development management services. Our projects include; Residential, Religious, Commercial, Institutional, and Industrial. I have served the gulf coast area for over 14 years with residential design of all types, sheds, decks and other small projects. I began working with homeowners and contractors in South, MS and now relocated to Daphne, AL. TAM Williams Design, Inc. is a residential design firm specializing in original period house, renovation, & addition designs. I have served individuals, architects, contractors, interior designers, decorators, & developers for the past twenty-five years in the Mobile & Eastern Shore, Alabama areas. I provide original design solutions based on the client’s wish-list with an emphasis on function & flow. My hand-drafted construction documents are structurally thorough providing all detailed information required for your contractor to construct your home project. I strive to reflect authentic architectural period styles in my designs. In order to develop unique design solutions, I believe it is imperative to have a complete understanding of how my clients live and entertain in their homes, as well as obtaining a visual image of their project setting. A design solution is only good if it functions and flows with the way a client actually lives in their home. I thank you for visiting my site and I welcome the opportunity to address your project. Industrial & Machine Age Vintage Lighting. Industrial Accessories. Industrial Furniture. Anitiques! Found Art. Repurposed artifacts. Architectual Lighting Design. Industrial Art Residential and Commercial Design. Concept, specify, and contract. J. Veal, Architect is a full service architectural firm with a reputation for creative design solutions for all building types & planning requirements. J. Veal, Architect was established in 1983, and has been providing architectural & planning services on the Gulf Coast and in over 20 states for 26 years. We strive to create buildings that stimulate, spaces that relate to and bring the outside in, and completely integrate all client requirements & site influences. We produce Architecture that incorporates smooth flowing interiors with efficient space planning that blends with and compliments the natural environment. Attention to detail is the key to producing high quality contract documents. Efficiency during the production process is very important. A complete list of requirements is developed and priorities are established. Costly time consuming redraws are avoided by thoroughly reviewing and refining proposals early in the process. We use a common sense approach to design and construction to produce buildings that standout, perform for our client, and provide lasting value. How do I find the best Montrose architect for my home design project? It is best to hire a home architect who will be involved in all phases of the design process, from the initial concept to the completed construction. The architect is often the first person you will hire for your project. If necessary, they might also help you select and hire Alabama subcontractors, which can include the builders, engineers and landscaper. Interior architects are also involved in negotiating contracts for all involved participants. It is for these reasons that it is extremely important for you to have a good relationship with the Montrose residential architect you hire. He or she can be the tie-breaking vote between you and the general contractor and can be your biggest advocate during the construction process. Different architecture firms in Montrose, AL provide different services, so the scope of the work can span from pre-design environmental impact studies to selecting furniture and finishes, depending on what your specific needs are. It is very important to hire the right professional for the job. Remember that the most well-known or established designer might not provide the best architectural services for your needs. It all comes down to the individual project. Research and ask people whose work you like for recommendations. It's important to have somewhat of an idea of the style of house architecture that you prefer, as well as the amount you would like to spend. Residential architects in Montrose, AL are natural problem solvers. They will assess the entire situation and help you to solve your problems too. Don't settle for a single company too early. Call and interview a few. Make sure that you feel like your personalities will mesh well and that you like their professional perspective. 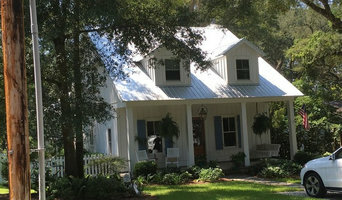 Find a home architect in Montrose, AL on Houzz. Narrow your search in the Professionals section of the website to Montrose architects. You may also look through photos of Alabama projects to find interior architects and building designers who have worked on a project similar to yours.